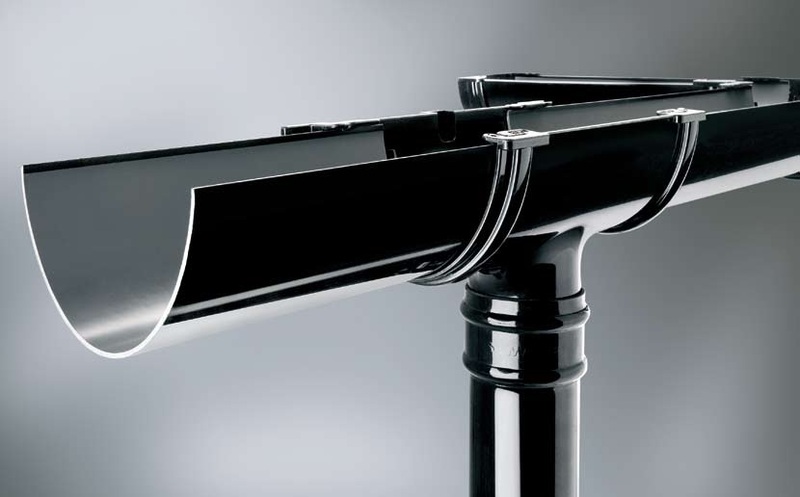 Buzzard Fascias and Fixings - uPVC Fascias, soffits, guttering and more! Suppliers of uPVC fascias trims & gutterings, polycarbonate, silicones, fixings etc. We keep in stock a huge range of high-quality Deeplas fascias and soffits in all colours and sizes. Fascia boards may not be the most interesting feature of your house, but they play a really vital role. The fascia is a long board that’s attached at the point where the roof meets the walls. It supports the bottom row of roof tiles and all the guttering, so it needs to be robust, low-maintenance and weather-resistant. UPVC fascia boards are all these things. Plus they come in a range of colours and plain or decorative styles so you can match your to the style of your property. 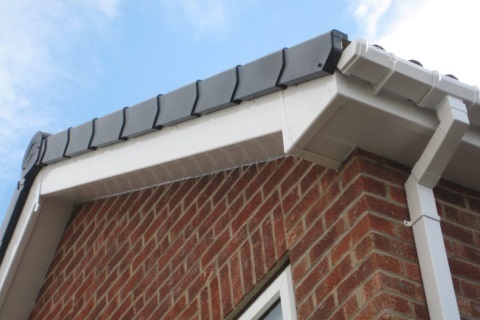 Alongside our range of fascias and soffits we also keep a full range of high quality maintenance free Floplast guttering systems. FloPlast rainwater systems offer a wide choice of profile design, both traditional and modern, in a range of colours to suit all tastes and applications. We have partnered up with Soudal to bring you the highest quality silicone’s, sealants and adhesives. There are many types of Silicone Sealants which provide a different range of adhesive qualities. Specialist bathroom sealants not only help with a watertight bond but also resist mould and mildew. Silicones come in a wide variety of applications, colours, elasticity and durability. From specially formulated silicones for use with natural stone (Granite, Marble etc..) to silicones designed for use in swimming pools, with a high resistance to chlorine. 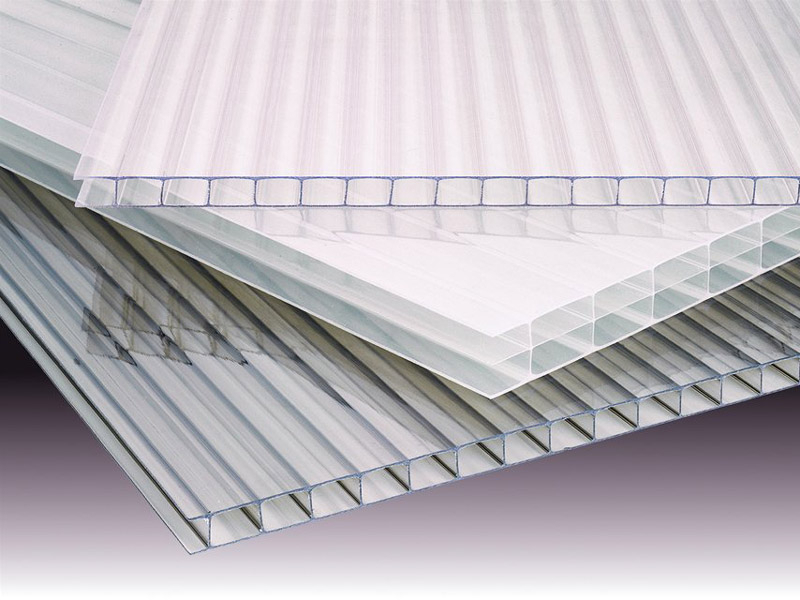 Our multiwall polycarbonate sheets are the best solution for conservatory roofing for the modern home. Available in thicknesses from 4mm all the way up to 35mm for maximum insulation values and unrivalled color/tint options the polycarbonate sheet remains at the forefront of conservatory technology. 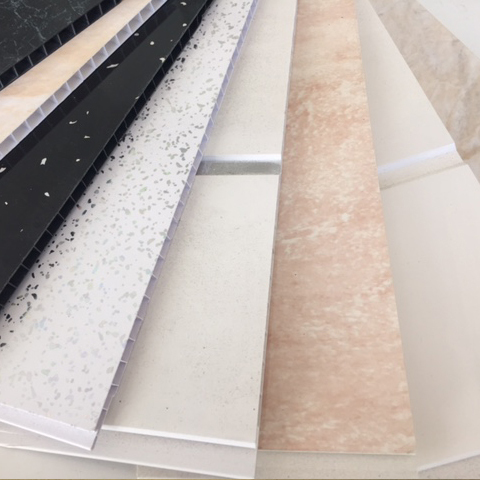 Suitable for wet and dry areas, simple and quick to fit with no wet trades required our full range of easy to clean and hygienic decorative cladding panels are the perfect alternative to tiles. Simply apply one of our adhesives (also available) and use a Stanley knife to cut and fit to your wall. This makes installation quicker, and costs less than tiling. Underground drainage systems are used to discharge three types of water; surface water (rainwater & storm water) foul water (toilets) and also grey water (bath, sink and dishwasher / washing machine waste). The most common underground drainage pipe sizes are 110mm & 160mm but we also supply a vast range of pipe sizes so we are likely to have what you are looking for. 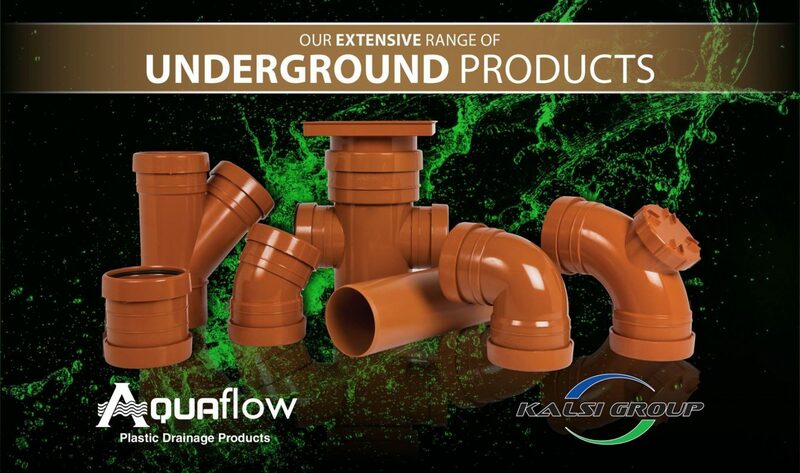 All of our underground systems are manufactured in the UK by Kalsi Plastics and all our systems are British Standard Kitemarked for your peace of mind. 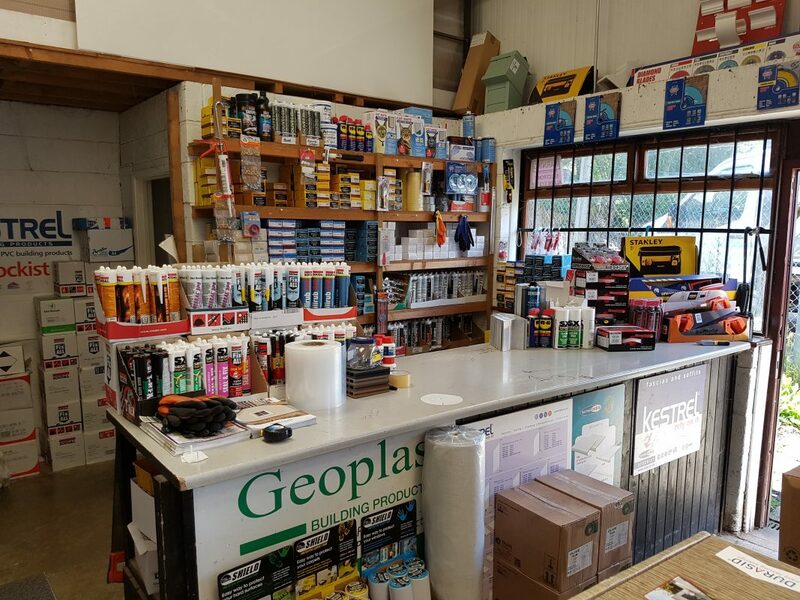 To complement our product ranges we also keep in stock a wide range of tools, polytop pins, channel drainage, glues, lubricants, cleaners, edge trims etc!